Ray, Thanks for the ideas, and for the templates - much appreciated. For your freelance writing, do you primarily use your personal or your A5? For the writing itself, I use Word on the PC, but ideas and notes are usually jotted down in the Personal Filofax. wonderful!!! This is now included in my binder, thank you so much!!! Nikki, that's an interesting idea and I'll give it some thought. My worry is that the inherent fragility of paper may be a limiting factor. 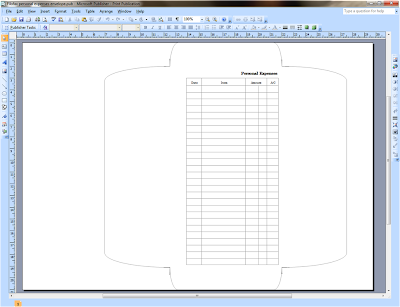 One thing you could do right now is to download the Word version of the A5 expenses envelope, clear the expenses grid on the front and then use this for CD storage. Nikki, I've considered this further and will be posting an A5 CD/DVD storage insert you can make. Hi Ray, I have been using your Personal-sized expense envelope since you published it. I travel around 75% of the time so this has been the single, most useful self-printed insert for me. I realised I was entering things on the envelope, and things on the Filofax personal expenses sheet. Most of my info is the same type for the majority of trips. I've never used Publisher before but decided to have a go at making my own. I now have the key info which I need for my claims, all on one envelope. I'll mail you a copy. Thanks so much for this, it inspired me to make my own but I couldn't have done it without your template. On a seperate note: I've been trying to use your Table of Elements as a tri-fold template to put my own info in. 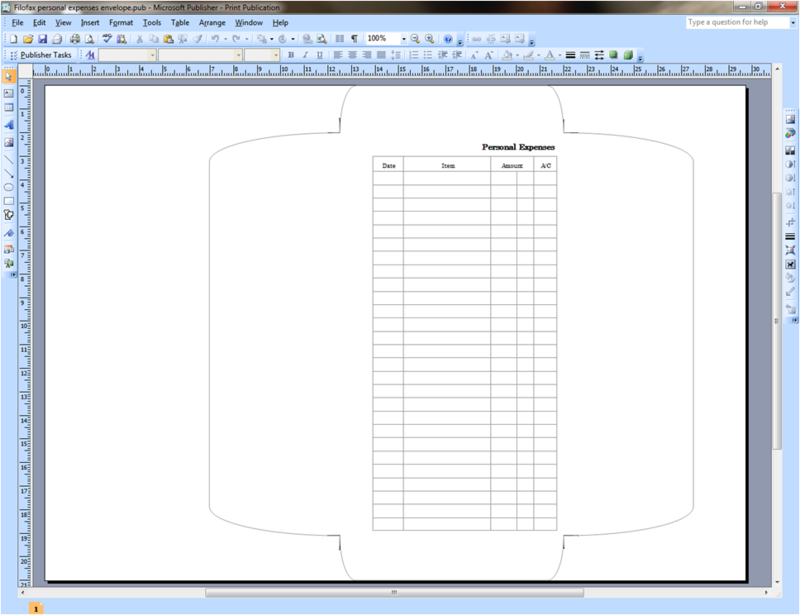 The problem is, when I delete the table and insert my own contents, all the crop marks move. Is there some way you could amend this to create a new template? I wondered if there is some way you could make it a background image or a watermark, I don't really know the details, but something embedded so they would always be there. Looking forward to your CD holder too, I used them all the time in my A5 but haven't found them in Personal. Many thanks for all your contributions. Paul, give me your email address and I'll send you a version of the foldout template with fixed marks. The problem with a personal size CD holder is the width of the page; it's too narrow. Just found your blog and I LOVE it! Thanks for all the templates and inspiration. After devotedly using my Franklin Quest (as it was then) planner for many years, with inserts courtesy of my company, I changed jobs and worked for many years in a company which didn't provide anything. For the last 10yrs I've used a notebook plus scraps of paper for lists, and the Outlook Calendar for appointments. I have just gone freelance and decided it's high time to go back to a planner. I've bought a Filofax Personal size, but found that most of the inserts are nearly what I want rather than exactly what I want. Then I came across your blog. You've completely made my day! Thank you! I just got my first filofax today and I'm already busy looking through all the interesting things in your blog and all the amazing templates. Seeing the envelope was a bit like an epiphany. Not so much as storage for receipts, but also as one place to jot down how much I spend. I often buy at local farms and bakeries and they don't give you a receipt. I've tried using a notebook or a notepad to write down how much I've spend, but without much success. I'm pretty confident that the envelope will be a lot more helpful :-). I have to stop printing and go prep lunches and dinners for the rest of the week because it's been really hot during the day too cook. LOL! Thank you for posting such wonderful things.